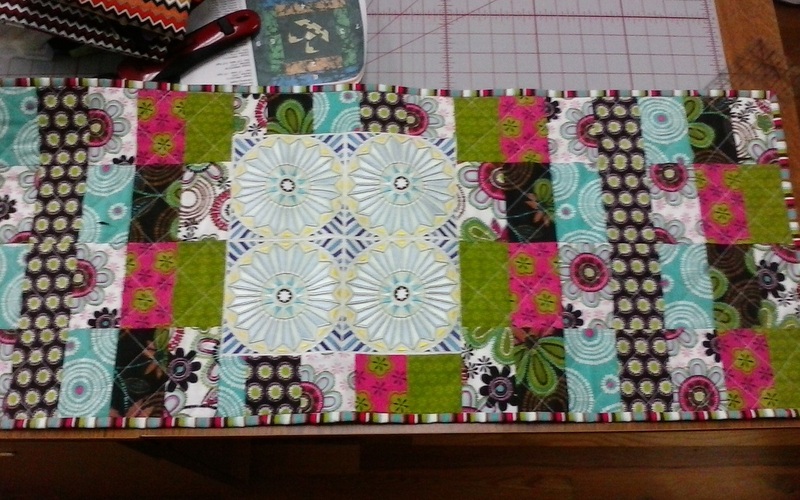 This machine is a dream for anyone that has a passion for sewing! With so many features there is no limit to what you can create! So be inspired by your fabrics and let your ideas run free, with the comfort of knowing that you have a machine that is up for the job! Maxi Stitches up to 48mm wide! Stitch Creator - create new 9mm stitches or edit built in stitches. - All the features of the 3.5 plus all of the above and more! With the Ambition Line of machines, a beautiful project is but a stitch away. Smaller than the Expression Line, they are easier to take to classes and for traveling, yet they come with a great deal of features! So if your sewing area is small, one of these compact machines may be your dream come true! Are you looking for a machine that has more than just the basic utility stitches but not quite as many decorative stitches as the higher end quilters? 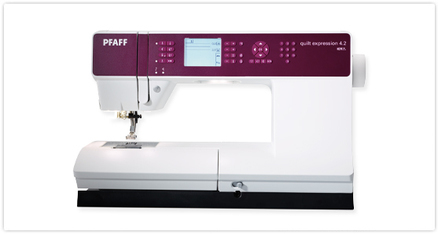 Do you want all the perks of owning a PFAFF without having to break the bank? Do you love going to classes and need a machine that is light weight to take with you? Then the PFAFF Passport 3.0 is the machine for you! 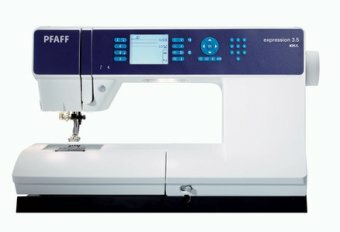 Original IDT system, thread snips, 100 stitches, start/stop, beautiful appliqué pin stitch, one-step buttonhole, free motion sewing, external feed dog drop, extra high presser foot lift, 29 needle positions, needle up/down, info button, 2 LED lights, immediate tie off, and 6 presser feet included. The Select 4.2 is perfect for anyone that needs a machine for repair work or garment sewing. With just the right amount of stitches for your clothing and mending needs, it gives you the features that PFAFF is known for, at a price that you will love! LED lights, bobbin winding from the needle, 5.5 mm stitch width, speed control, extra slender free arm, IDT system, needle threader, 40 variety of stitches, swing away accessory tray, free motion sewing, and high presser foot clearance!